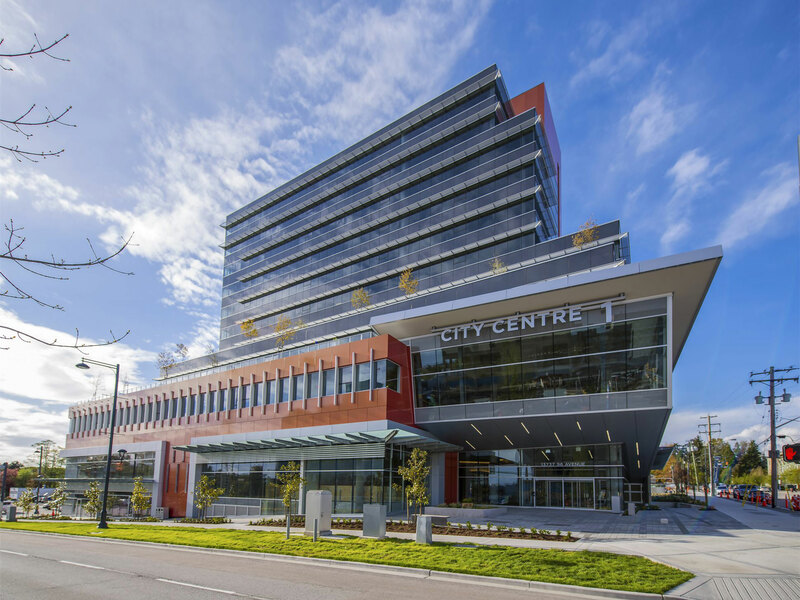 The new 12-story, 183,000 square foot City Centre 1 (CC1) building is part of a large development by Lark Group to create a Health and Technology District in downtown Surrey, BC. 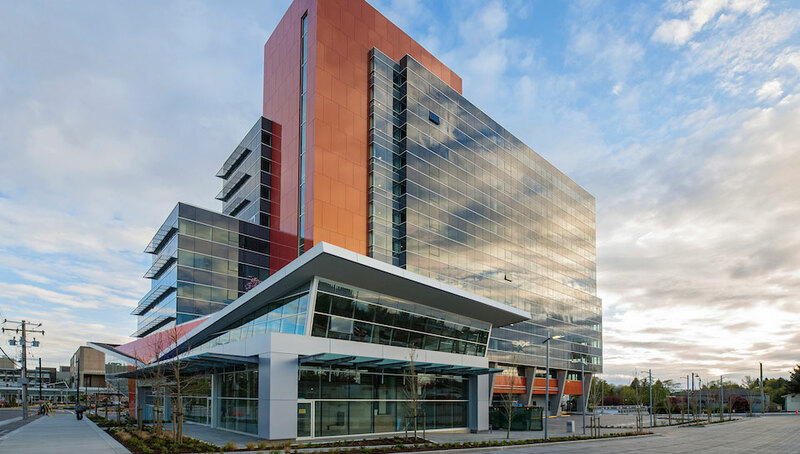 Located across from the Surrey Memorial Hospital the CCI building, designed by Wensley Architecture, houses 90 medical and technology specialists. Additionally, the first floor features 16,000 square feet of retail space, restaurants and an on-site gym. 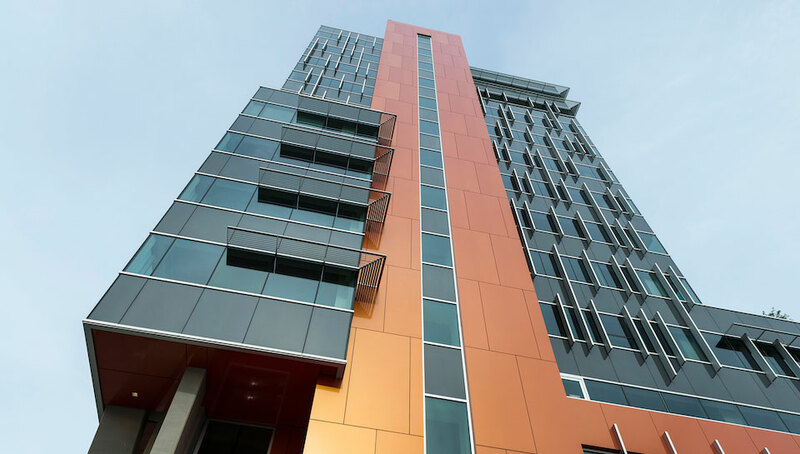 CC1’s design features a mixture of aluminum composite panels and glass that envelop the exterior. The reflective nature of both materials offers unique perspectives based on natural light and differing times of day. The interior utilizes a series of natural materials such as timber and porcelain to create a contemporary feel. 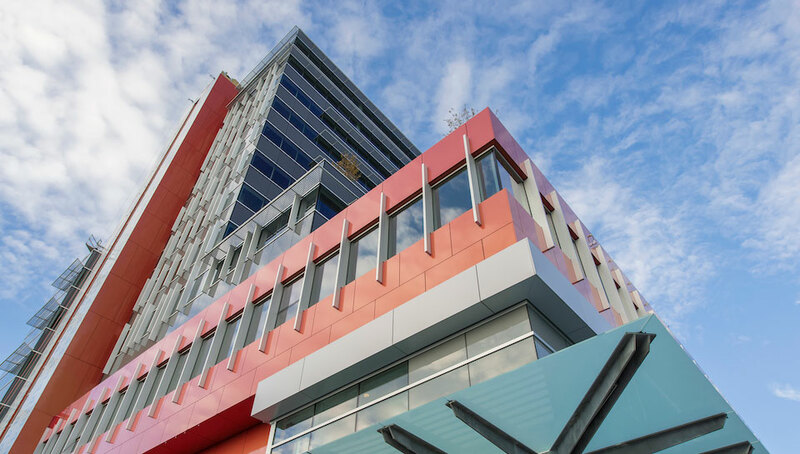 According to Keith Panel Systems, the project fabricators, “Integrating Alucobond Spectra, the surface offers a dynamic luster that reflects light in a spectrum of colors.” Keith Panel Systems utilized their KPS System A, which is a pressure-equalized rainscreen system. The Alucobond Spectra material offers natural color shifts, showcasing the subtle nuances and color contrasts found in nature. 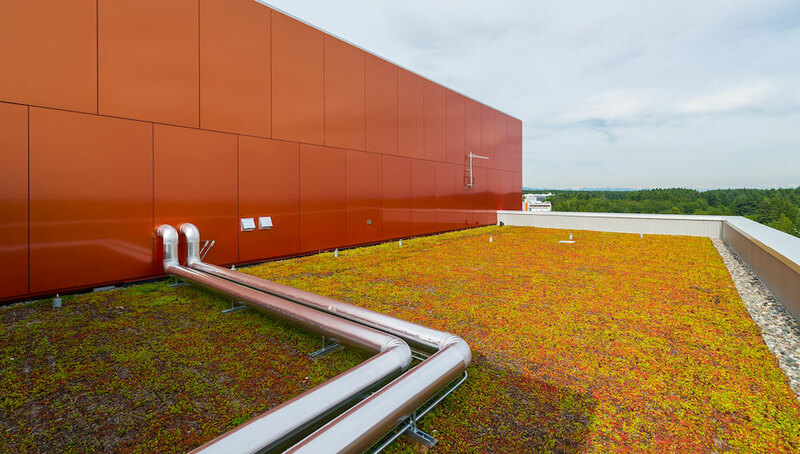 To achieve LEED certification, several amenities were initiated including a green roofing system and landscape functionalities to both absorb storm water and control run off into the nearby Quibble Creek watershed. 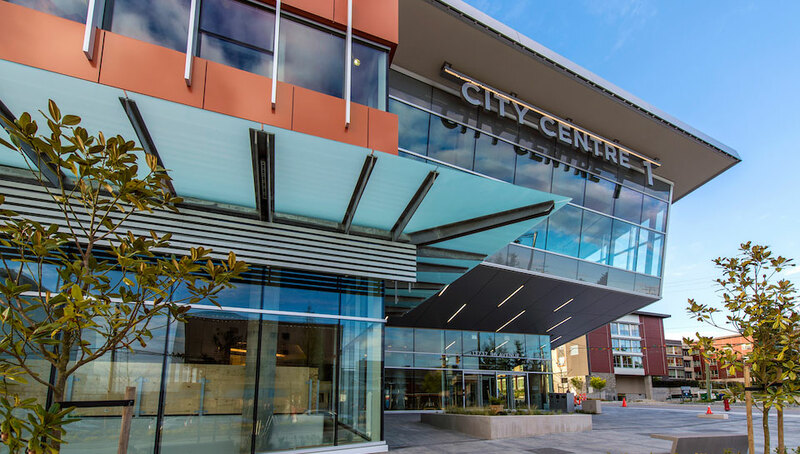 Additionally, the building utilizes a high-tech air ventilation system that allows heat recovery, as well as a connective hydronic system used for future use within the whole district. The clinical nature of the building’s occupants is not represented in its design. Instead, the medical and technology fields are represented in the building’s modern and forward-thinking design elements.